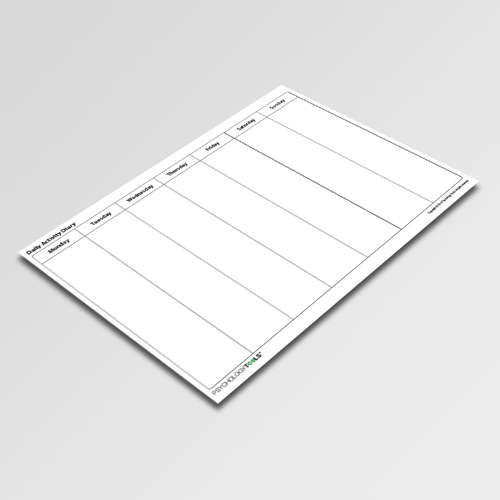 Activity diaries are an essential component of multiple interventions. As data-gathering tools they can be used to monitor activity or mood over time. They can also be used to monitor interactions between the two. Activity diaries are also essential tools for activity scheduling and behavioral activation. 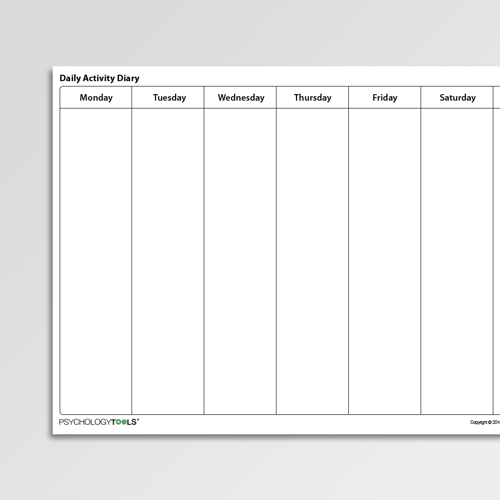 The CBT Daily Activity Diary With No Time Slots is a versatile variation on the standard CBT activity diary.